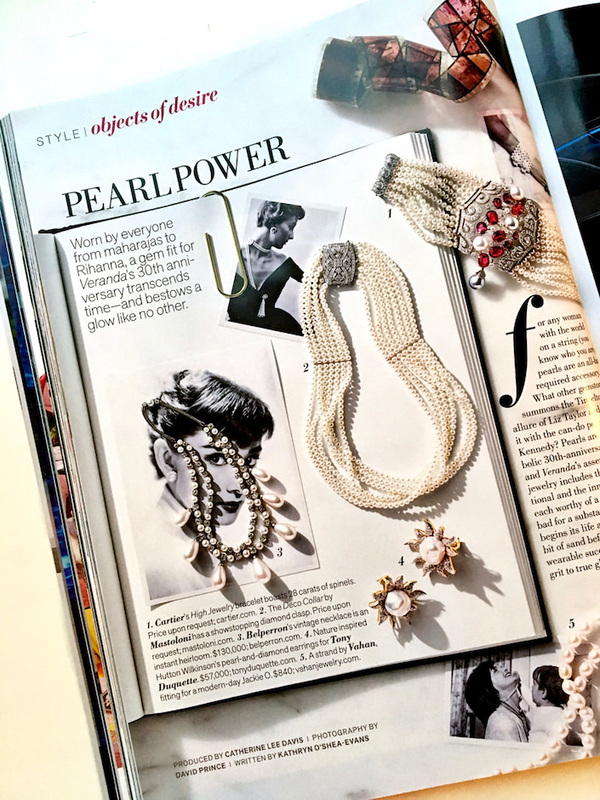 In the September/October special 30th anniversary issue of Veranda (which we will revisit), the style section’s Objects of Desire celebrates Pearl Power – that timeless gem traditionally suited for a 30th anniversary! And while this week we have been bemoaning the havoc mother nature can wreak, pearls are a perfect example of nature at her best and most beautiful. 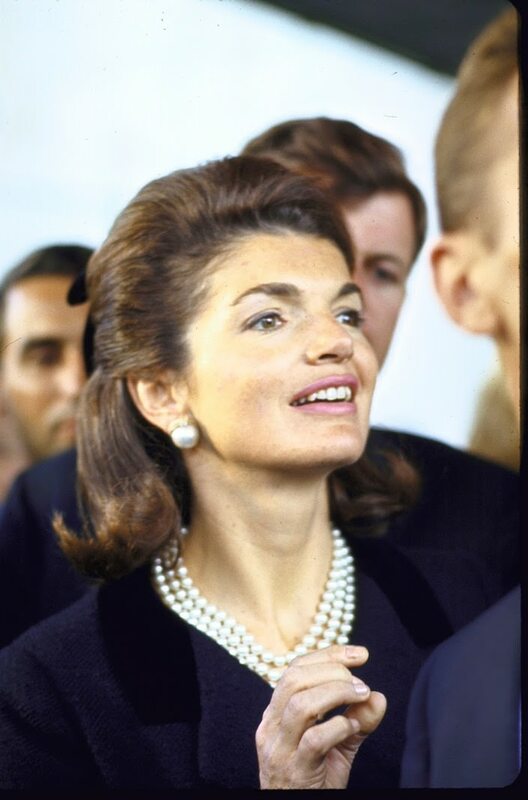 We may associate pearls with the classic (faux) triple strand Jackie Kennedy wore or the modern pop power of Rihanna but the power of pearls throughout history cannot be underestimated. For millennia, and in almost every culture, pearls have held a position of reverence, spirituality and sometimes even the supernatural. 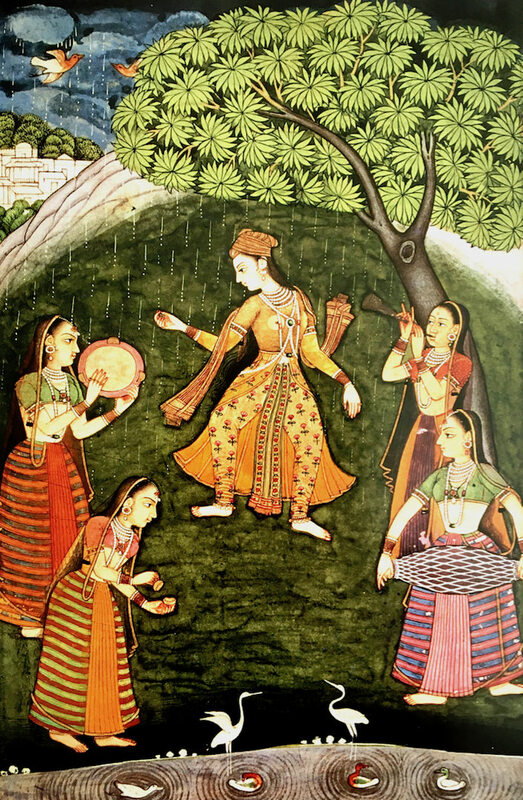 Below, in an 18th century Indian miniature, the power of pearls is invoked in a rain dance. Like other gems, pearls were believed to have talismanic powers. Early Christians considered them a powerful symbol which they also used for decorative purposes. 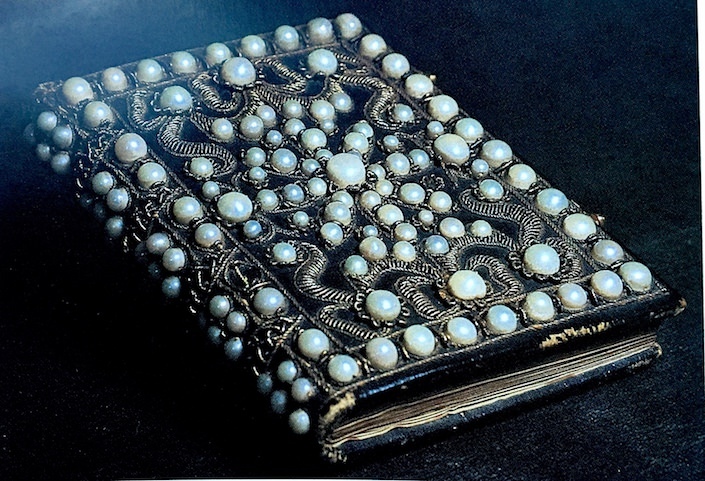 A prayer book, owned by Charles I in the 9th century was adorned with pearls. In ancient Asia, pearls were a source of valuable currency as well as a decorative symbol of status and authority. 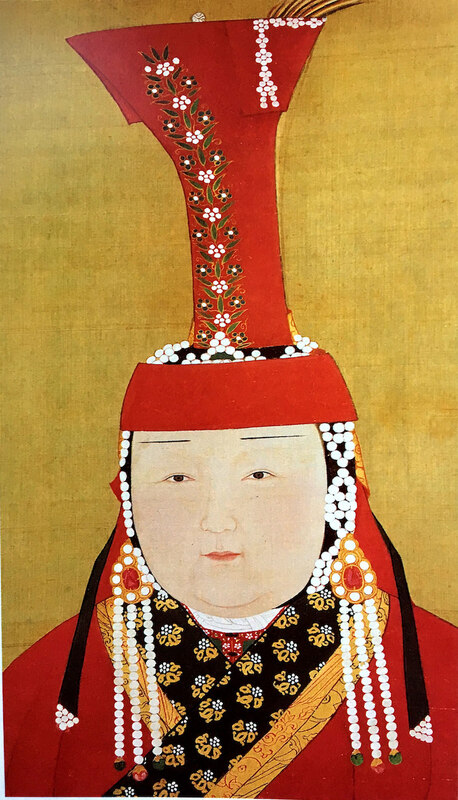 Below, a Yuan dynasty (1277-1368) Chinese empress sporting pearl attire. 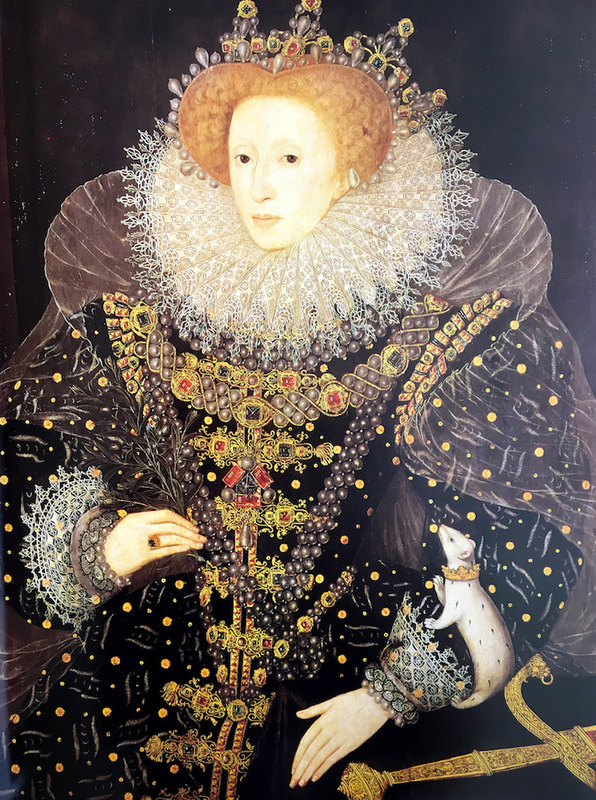 And of course there is the famous portrait of Queen Elizabeth I, c. 1585, with her pet ermine and impressive pearl collar. 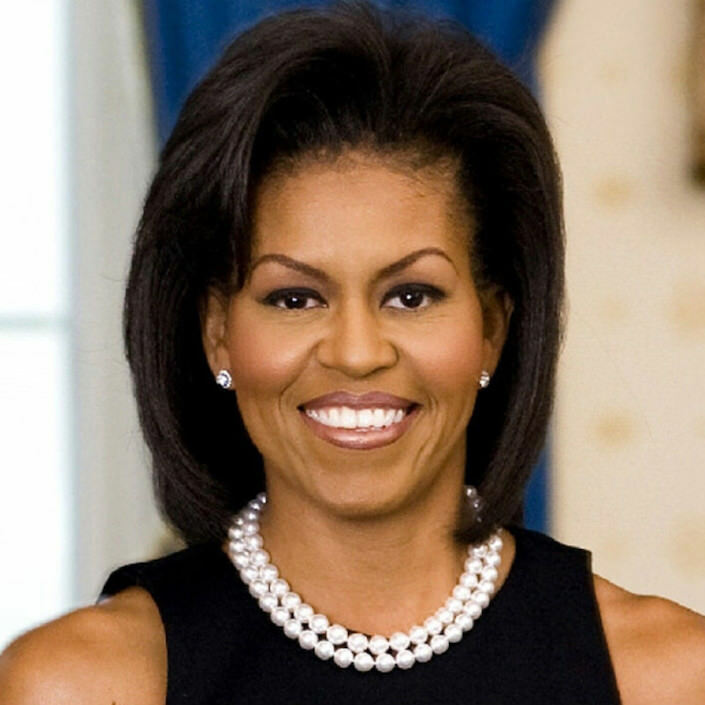 More modern royalty have included pearls in many of their important pieces. 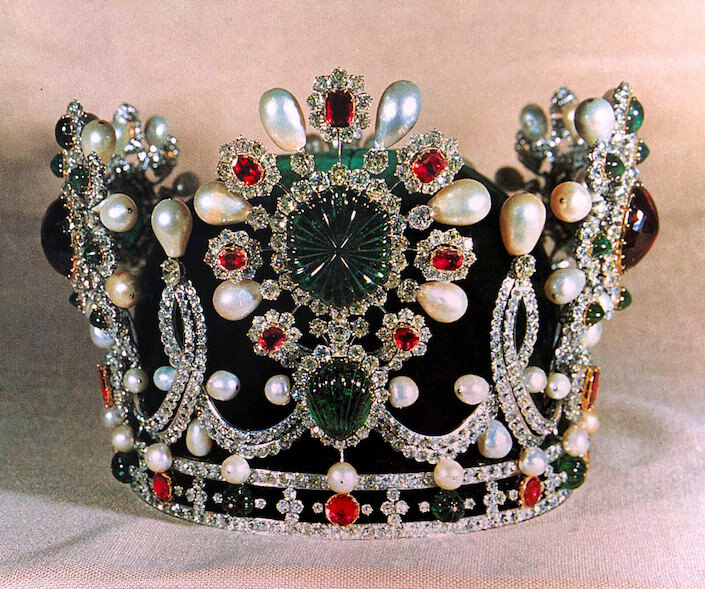 Below, a crown created for Empress Farah Diba of Iran in 1967 by Van Cleef & Arpels. 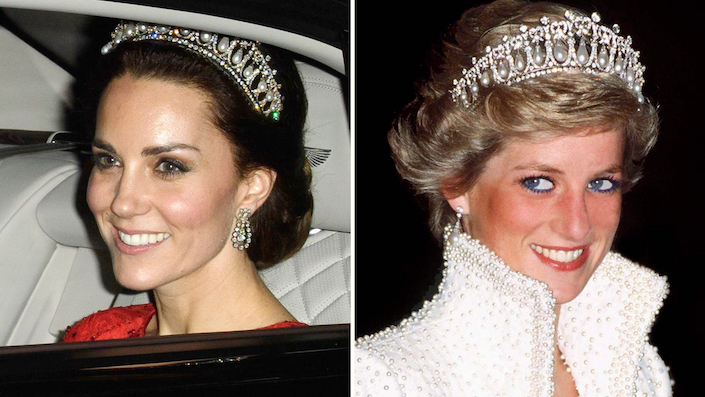 And most will remember Princess Diana’s signature pearl studded tiara (a wedding gift from her mother-in-law), which Kate wore last year to a diplomatic reception at Buckingham Palace. But my favorite consumers of pearls might just have been the Maharajas of India. With the rise of British rule in the mid 18th century, Indian princes no longer had to worry about maintaining armies and were free to use their money on building and the luxury trappings of western life. 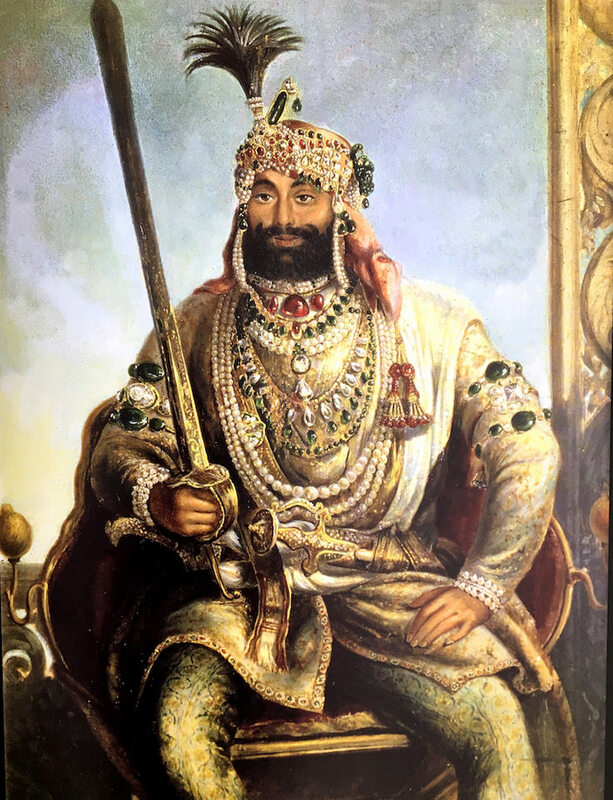 Portraiture became popular and below, Maharaja Sher Singh, painted by August Theodor Schoefft in 1845, is shown covered in jewels and enormous pearls. 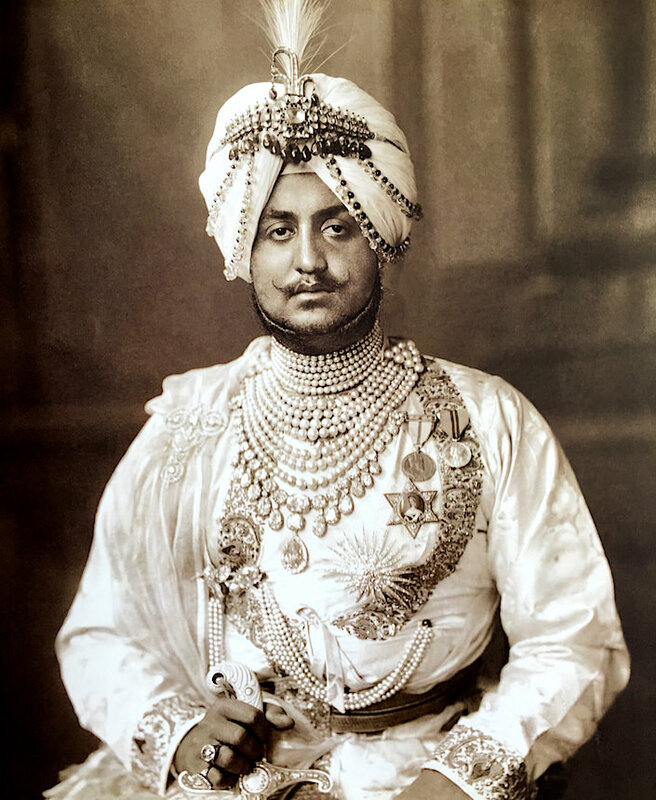 The examples are bountiful but one of my all time favorites is this portrait of Maharaja Bhupinder Singh of Patiala by Vandyk in 1911 (seen in a favorite tome Made for Maharajahs). 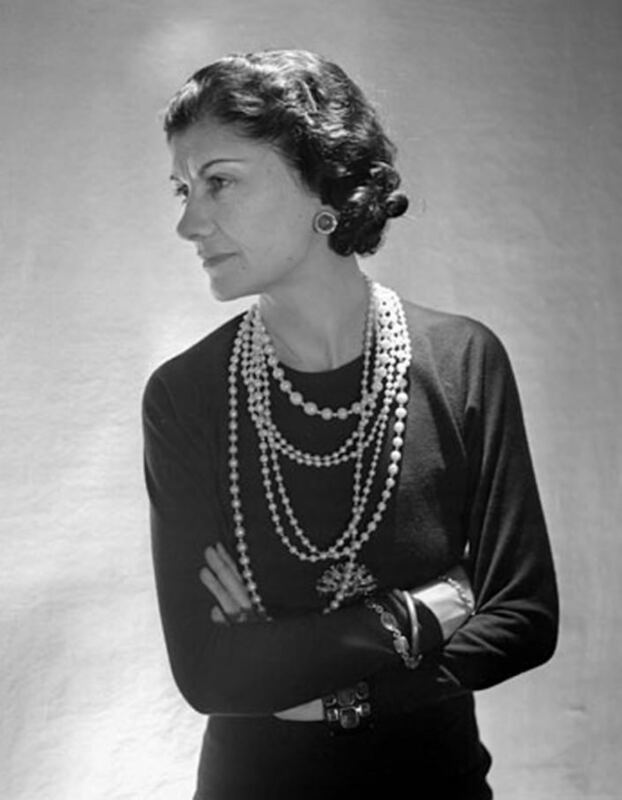 Famous for his love of jewels, he commissioned all the best Parisian jewelers, particularly Cartier and Boucheron, to make incredible jeweled works of art, such as the pearl necklace he sports below. 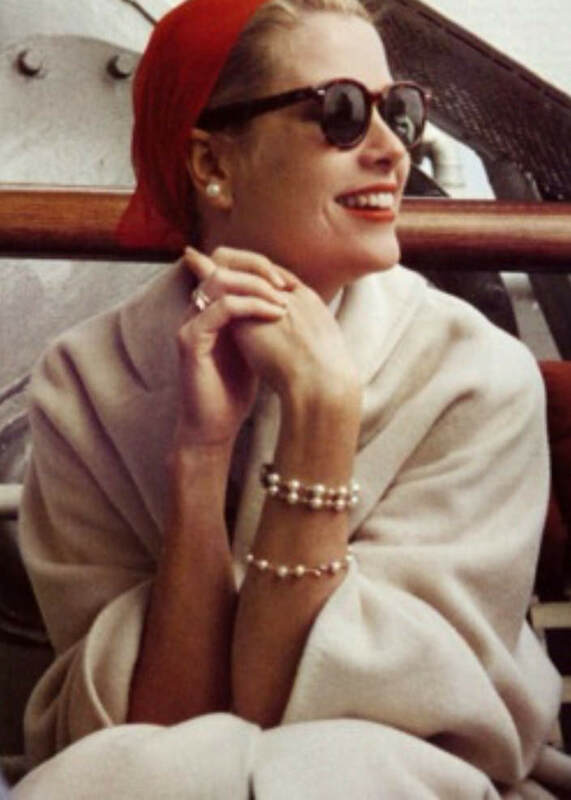 I thought we could end with a look at a few famous icons of now and then who made pearls a part of their signature look. 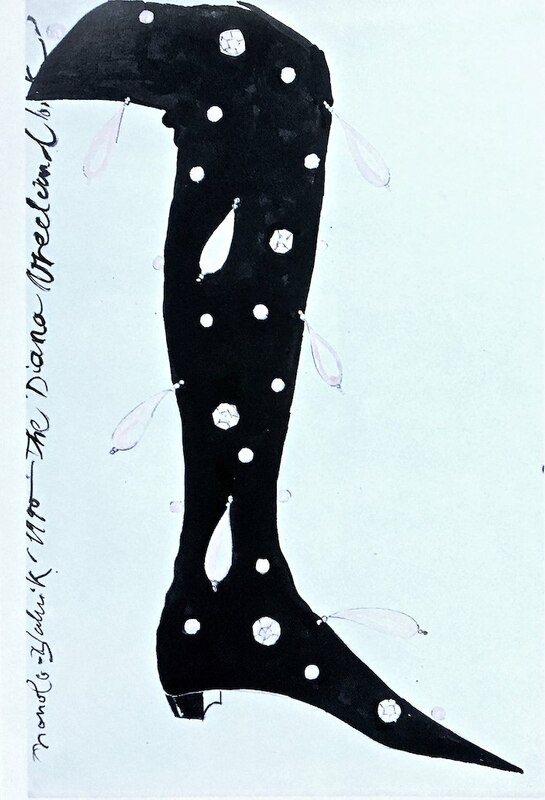 Above, Ottoman velvet boots Manolo Blahnik designed in 1990 for Diana Vreeland, studded with faux baroque pearls and other stones. This entry posted in art, art history, fashion, jewelry. Entry Tags: gems, history, Jewelry, pearls Bookmark the permalink. What a diverse collection of photos. Love it. I will definitely get out my pearls this weekend. Mine were individually chosen by a friend at the Pearl Market in Hong Kong; he then had them strung. Nothig more elegant! Great story! 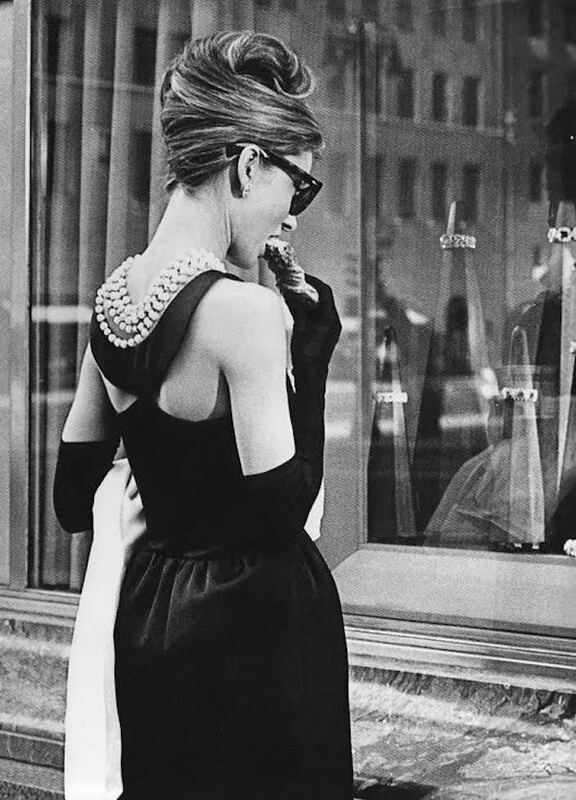 The Cartier Building at 54th and Fifth was traded for a Double Strands of graduated natural pearls. Now, that’s a love of Pearls ! 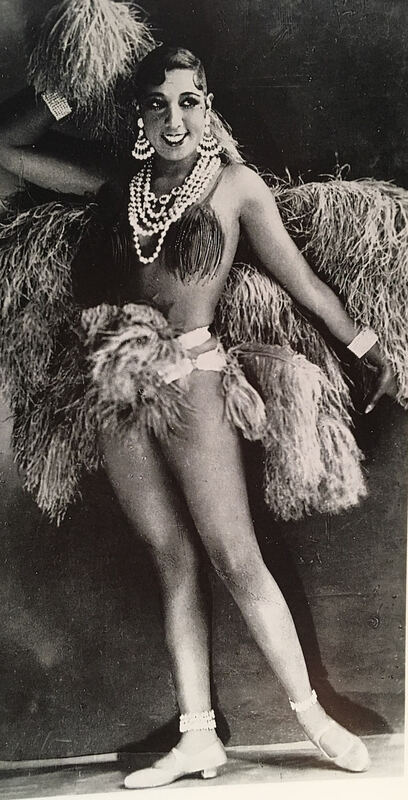 Yes exactly Katherine – Pierre Cartier bought the building with that necklace that, even at the time in 1917, was valued at one million dollars! Every girl’s dream! I always dreamed about a perfect necklace! Love the photo selection!